This past March 24 marked the 40th anniversary of the coup d’état of 1976, providing, like every March 24, an opportunity for Argentina to re-elaborate the links between past and present. 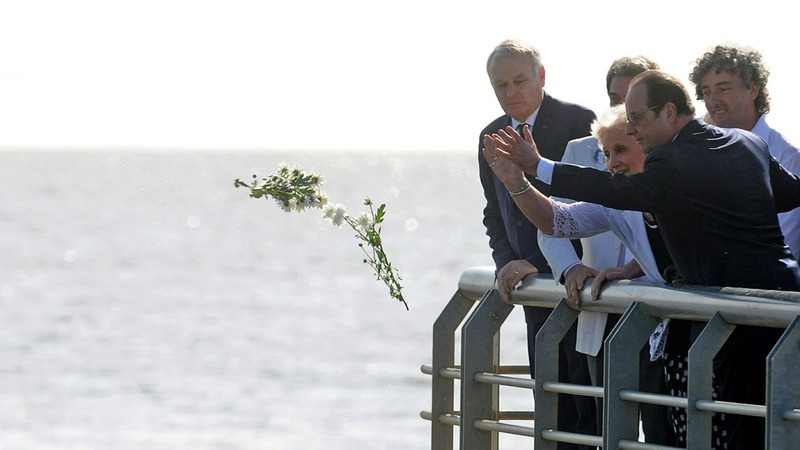 Too somber and fateful was that March 24, 1976, that changed the course of Argentine history irremediably. And history was very much alive this time, due to three converging circumstances. The first is Argentina’s judiciary progress over the past decade regarding the violations of human rights during the State Terrorism of 1976–1983. More than 600 perpetrators of violations to human rights, mostly members of the military and other armed agencies, were condemned by federal courts to sentences ranging from less than three years to life sentences. (Another 300 cases, i.e., one out of three accused, were either absolved, dismissed, or are still in process). This is the result of a history, still ongoing, that started in 1985 with the trial sponsored by President Raúl Alfonsín that condemned the top military commanders—a trial based on the 1984 report Nunca Más and on the evidence collected by the Argentine human rights movement since the very beginnings of the dictatorship. The 40th anniversary of the Coup was hence an opportunity to remember the thousands of missing loved ones, and to publicly support a successful process of justice. The second circumstance was related to the recently elected government of President Mauricio Macri, a political leader hostile to the human rights cause. Macri’s campaign rhetoric included the critique of what he called “el curro de los derechos humanos” (“the human rights scam”), referring to the close relationship between the human rights movement and the administrations of Néstor Kirchner (2003–2007) and Cristina Fernández de Kirchner (2007–2015) under which most of that process of justice took place. Once in office, the new government began dismantling state agencies, such as the Human Rights Office at the Central Bank, that had been mandated to provide evidence to support the judiciary in a further step: the investigation of the civilian and economic accomplices of the military government. The anniversary happened thus in the midst of a shift in official policy vis-à-vis the past. Finally, and unexpectedly, President Barack Obama’s visit to Argentina was planned precisely for March 24—Macri’s advisors probably prioritized the visit over any concern about such an awkward date for a visit by the US President. After 12 years of a rather distant relationship with the Kirchners, the US diplomacy decided to support its new hemispheric ally with a presidential visit, giving the anniversary of the coup an unexpected geopolitical twist. White House officers, in view of the date, anticipated that Obama would order the declassification of official US documents regarding the dictatorship. Obama flew to Buenos Aires directly after his historic visit to Cuba. On the morning of March 24, as French President François Hollande had done in February, Obama visited Buenos Aires’ Parque de la Memoria, a quiet and windy edge of the city on the shore of the Rio de la Plata, turned by virtue of mesmerizing art works and architectural devices into an urban symbol of human rights. Obama threw flowers to the river, in homage to the men and women who, sedated and chained inside bags, were thrown there from military airplanes in the 1970s. But whereas Hollande was accompanied by the Madres and Abuelas de Plaza de Mayo and human rights activists, in recognition to the support given by France’s Socialist Party to their cause in the 1970s and 1980s, the US head of state was joined by Macri alone—no human rights organization attended the ceremony. Why did human rights organizations turn their back to Macri and Obama, and why, despite that rejection, did both presidents decide to visit the Parque de la Memoria anyway? How should we interpret the two parallel policies, the one by Macri blocking the prosecution of civilian and economic accomplices of state terrorism, and the one by Obama to declassify military and intelligence files in favor of historical truth? What do the human rights of the 1970s mean to both countries today? France and the United States are two countries at war against an enemy represented as the nemesis of Western freedoms. Human rights are the ultimate moral justification in the international arena against terrorism, and Argentina represents an essential chapter in that history. Paying homage to the desaparecidos became thus essential to Argentina’s friends—as essential as Jorge Luis Borges, dancing tango, or kicking a soccer ball. But since Macri’s political biography never intersected the human rights agenda, his words and gestures that day were odd and elusive, avoiding words like “military” or “desaparecidos” and instead blaming the past on “intolerance” and “divisions among Argentines,” expressions he routinely uses to criticize opponents. Macri’s support of the imprisonment of social activist Milagro Sala and the formulation of a repressive security protocol by the police to handle public demonstrations—a step backward from the peaceful tactics adopted after the massacres of demonstrators during the crisis of 2001–02—turned the human rights movement away from him. And yet, paradoxically, the presence of both heads of state at the Parque de la Memoria was a sign of that movement’s success in the public sphere. Obama’s remarks at the Parque invoked the longer history of US Democratic administrations in this realm. He mentioned the role of the State Department under President Carter (1977–81) in support of the human rights movement, specifically through the pressure on the military by Assistant Secretary of State for Human Rights Patricia Derian, and the invaluable collection of data on disappeared citizens by diplomat Tex Harris at the Buenos Aires embassy. He reaffirmed the orders he gave in anticipation of his visit: like President Clinton in the late 1990s, he ordered the declassification of US documents, this time not from the State Department but from the Pentagon and the CIA. The awaited official recognition of the role of the US in the coup, however, did not happen. The fact of being in Argentina on such a symbolic date, exactly 40 years after the events, was apparently not enough to make that decisive step forward. Nor was the proven fact, recognized by historians in both countries, of the explicit blessing of the coup and its human rights violations by Secretary of State Henry Kissinger. President Obama just said the US had been “slow to speak out for human rights” and referred to its stance in 1976 vis-à-vis the Argentine coup as a matter of “controversy” still requiring examination. He focused the visit, like Macri, on “the future:” economic relations and security cooperation, with respect for human rights. Some local and international press misleadingly took these as words of autocrítica and regret, but Obama’s remarks carefully avoided both. Human rights appeared hence as more of a rhetorical instrument—with potential judiciary consequences in the very long term—than an actual matter of diplomacy. This reflects a particular balance of forces both in the US and in Argentina regarding the links between past and present. The history of the coup d’état and the state violations of human rights is an uncomfortable one to some Argentine domestic constituencies and policies, as well as to the ethical conundrums of US policies in Guantánamo, Honduras, and the Middle East. A crowd flooded the Plaza de Mayo in the afternoon. Like every March 24, a multitude of organizations, families, and individuals marched towards the pyramid at the center of the plaza, on top of which a statue of the Republic symbolizes the history of the fight for human rights that started in 1977 right there—the epicenter of previous histories as well, from the recovery of democracy in 1983 back to the Independence Revolution of May 25, 1810, the one that gave the colonial Plaza Mayor, then de la Victoria (for the popular victory against the British invasion of 1808) its current name, de Mayo. The Obamas had by then flown to Bariloche, in the Andes, to take a rest before returning to Washington, DC. But there they received a final visit from Macri and his wife, doubling their diplomatic alliance as personal friendship. Hence, while a multitude commemorated the National Day of Memory, Truth and Justice—a day of mourning and remembrance of which the public TV channel offered no coverage—Macri posed exultant before the cameras with the POTUS. It was perhaps the most egregious contrast of this last March 24. Two rituals of power taking place simultaneously (1)—the mise en scene of an alliance between the presidents of Argentina and the US while the collective remembering of the citizenry took place at the plaza—in one more chapter of the convoluted history of hemispheric relations. Far from settled, human rights in Argentina and the rituals that surround them are history still in the making. I take the expression “rituals of power” from Pablo Ortemberg’s Rituales del poder en Lima(1735–1825): de la monarquía a la república (Pontifica Universidad Católica del Perú, Lima, 2014), to illuminate the changes and continuities enabled by official ceremonies and gestures. Buenos Aires, Madres de Plaza de Mayo, 1981. Archivo General de la Nación, Argentina, Inventario 348582. Vera Jarach and portrait of her disappeared daughter, Franca. Espacio Memoria y Derechos Humanos, Argentina. Wikipedia Commons. I take the expression “rituals of power” from Pablo Ortemberg’s Rituales del poder en Lima (1735–1825): de la monarquía a la república (Pontifica Universidad Católica del Perú, Lima, 2014), to illuminate the changes and continuities enabled by official ceremonies and gestures.